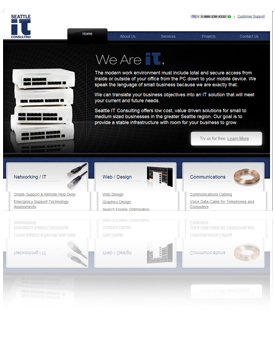 We are very proud to announce of our strategic partnership with Seattle IT Group. The founder, Charlie Williams has worked hard to earn a reputation for both industry insight and integrity. They provide IT consulting services and advice you can understand by speaking your language! Seattle IT Group offers computer network development and upgrade services, data back up and recovery, software upgrades, hardware upgrades, and much more. Their certified technicians can provide both on-sight and remote IT services throughout the United States. 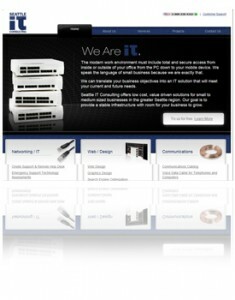 Seattle IT Group works with small, medium, and large businesses requiring computer network support. From computer Network design, server upgrades, software updates, and other mission-critical computer systems we have the expertise to seamlessly integrate the assets you need. We have been the choice of some of Seattle’s most respected businesses for over 10 years. We are proud to be a highly-rated member of the Better Business Bureau!